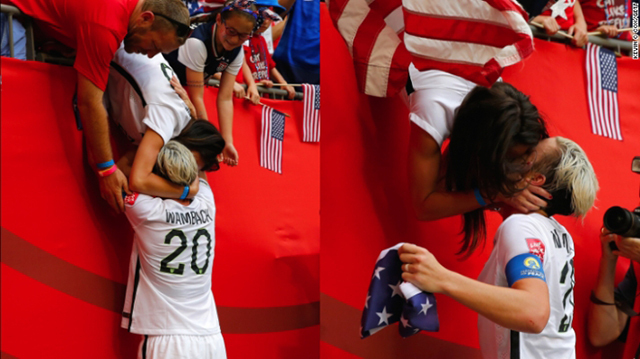 I’m a gooey romantic at heart and so when I saw Abby Wambach kiss her wife, Sarah Huffman at her soccer game I just fell into pieces. It was amazing and adorable! 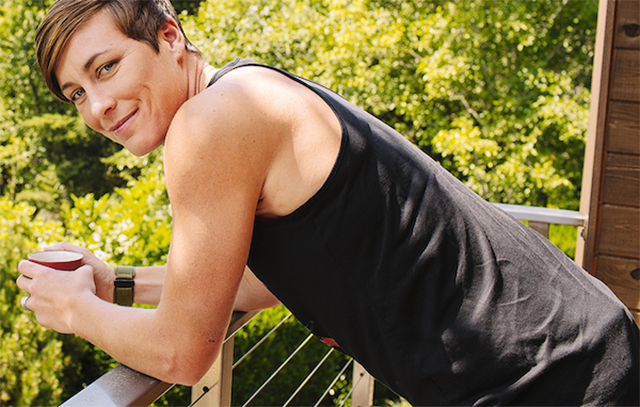 A beautiful moment between a couple in love and the only thing that made it better is what Abby Wambach had to share about her stance on gay relationships. The first thing that Abby Wambach wants to clear up is that in no way was her marriage due to a political rally but she was wed to her teammate Sarah Huffman because she was in love. They are quickly becoming the most popular gay, athletic couple that are married. It’s important for Wambach and Huffman not to press for a story on their marriage and make it a farce but also not to hide because they know they are role models for closeted and scared people who are gay everywhere. 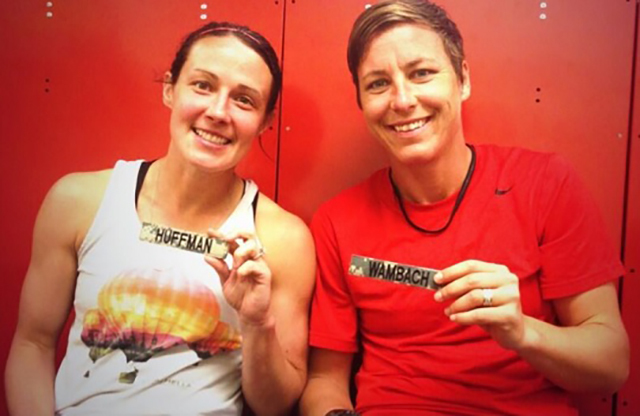 We wish Abby Wambach the best in the soccer world and in the world of being a public figure! We thank her for her candid comments on an issue that’s incredibly prevalent in the USA right now and with huge figures stepping up it makes it easier for those without as much influence to feel safe and find a place in the world where they are not accepted. This entry was posted in Coming Out Stories, Women Crush and tagged Abby Wambach, kiss, PDA, Sarah Huffman, World Cup by Cassidy. Bookmark the permalink.